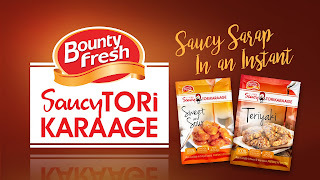 Bounty Fresh, one of the country’s leading poultry brands, has launched its newest product, the Saucy ToriKaraage, through a preview of its digital advertisement (www.facebook.com/bountyfreshchicken/videos/10154653286978379/) at the recent Manila Masters eSports Tournament. 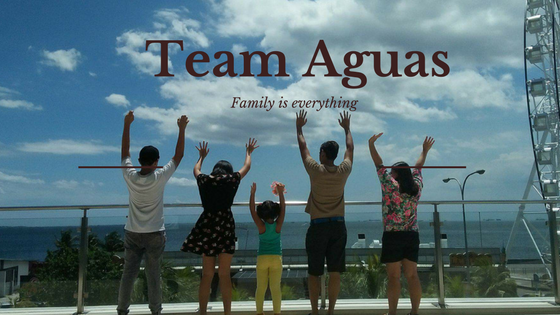 The online video—which shows how to win a guy the “Saucy way”—revolves around a young millennial couple, where the man, intensely focused on playing DoTA, is being wooed by his lady love to take a break and have something to eat. And through the irresistible qualities of the Bounty Fresh Saucy ToriKaraage, the busy gamer was instantly swayed into devouring the delicious food she effortlessly whipped-up, the “Saucy way”. Made of 100% all-natural chicken meat, the lean and tender meal is the irresistibly sumptuous quick fix that today’s young professionals need. With a preparation and cooking time of only 7 to 8 minutes, hungry, on-the-go individuals can enjoy a good-quality chicken meal without worrying about focusing on their current activities. Bounty Fresh Saucy ToriKaraage comes in two delightful flavors—Teriyaki and Sweet and Sour sauces—ready to satisfy the appetites of fast-paced Filipinos. Indeed, whether you’re a gamer, one with a busy lifestyle, or just a regular millennial, Bounty Fresh has got you covered as it’s always ready to win you over the “Saucy Way” with the Saucy ToriKaraage, Saucy Sarap in an Instant! Bounty Fresh Saucy Torikaraage is now available in leading supermarkets nationwide.